In this article, we will take a brief overview of the different VMware Cloud Services that VMware offers. All SaaS offerings from the above list, like VMware Cloud on AWS, VMware Cloud Assembly, ect.. are being referred to as VMware Cloud Services. In a series of follow up posts we will be taking a closer look into many of these offerings , starting with VMware Cloud Assembly and VMware Service Broker, VMware AppDefence and VMware Secure State. So be on a look out for those. 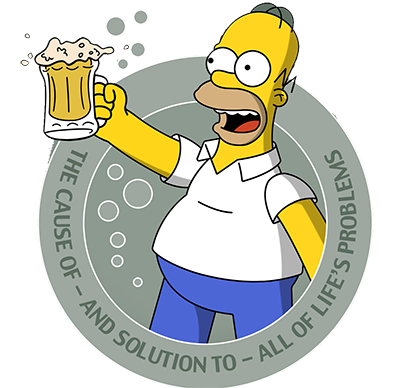 Now lets take an overview of all of the offerings. 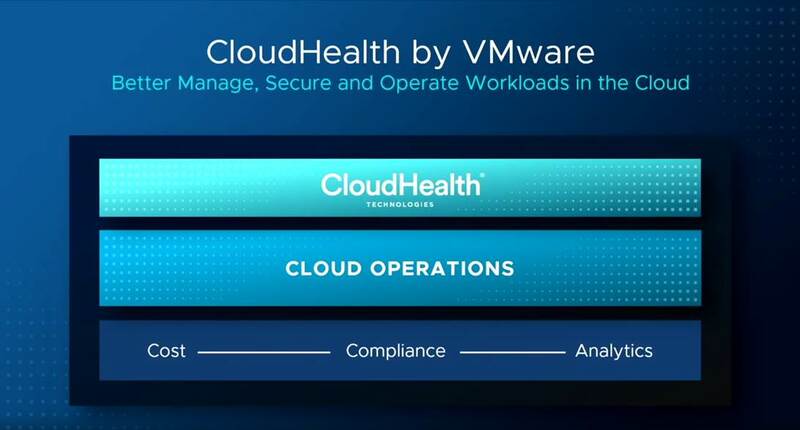 VMware Cloud on AWS delivers vSphere-based, Consistent Hybrid Operating Environments on AWS Cloud. It brings our Software-Defined Data Center software to the AWS Cloud, delivered as an on-demand service. A secure platform for government agencies to access the benefits of public and private clouds. VMware Discovery provides Automate Cloud Inventory Detection Across AWS, Azure and VMware Environments. 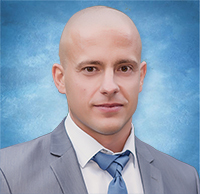 It delivers a secure and efficient approach for automatically detecting your public and private cloud inventory, making it easier to organize and search cloud resources. vCloud Usage Insight provides automated usage reporting, simple onboarding, secure data transfer and aggregation of usage across all contracts and sites. vCloud Usage Insight is available free of charge. VMware Network Insight delivers Better Network Visibility across AWS and VMware Environments. Analyze traffic flows, plan security and troubleshoot network issues across all virtual, physical and public cloud environments. Empowers IT to compare and analyze the cost of running multiple clouds, identify key cost drivers, find efficiencies and communicate the cost of services to their business. 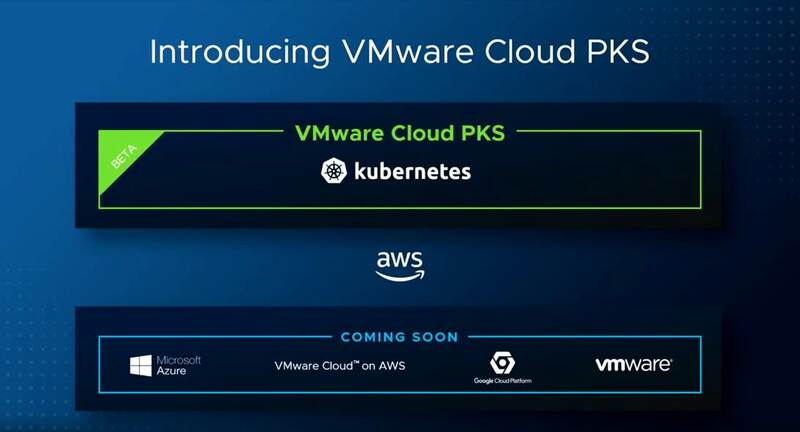 VMware Cloud PKS delivers deployment and consumption of Container Services with Production-Grade Kubernetes. VMware and Pivotal collaborate to deliver Kubernetes-based container services for multi-cloud enterprises and service providers. Speed software delivery and streamline troubleshooting with release pipelines and analytics. The technologies you know and love, delivered on the world’s most trusted enterprise cloud. Stay informed about the latest information about Cloud Marketplace and its availability. VMware Hybrid Cloud Extension provides App Mobility and Infrastructure Hybridity Across Any-to-Any vSphere. It delivers secure and seamless app mobility and infrastructure hybridity across vSphere 5.0+ versions, on-premises and in the cloud. On premises and the VMware on AWS instance can be on separate SSO domains. Once the encrypted channel is in place High Throughput Layer 2 Concentrators (HTL2C) can extend on premises VM networks to a VMware Cloud on AWS instance. 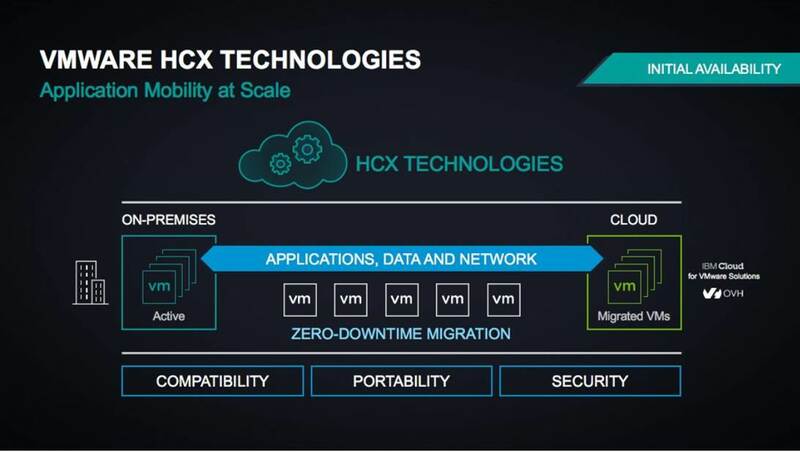 Each HTL2C can support up to 6 Gbps, this makes the WAN appear like the LAN and greatly simplifies the migration of workloads to VMware Cloud on AWS, VMs can be moved retaining their current IP and MAC. 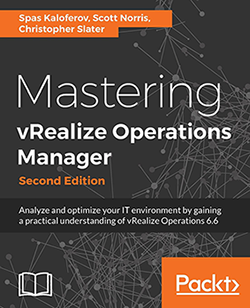 VMs can be migrated live individually or warm in bulk with just a reboot of the VM. Migration “waves” of 100’s of VMs can be moved and Hybrid Cloud Extension provides a detailed dashboard of progress and success . The optimized Hybrid Cloud Extension SD WAN permits application components to reside both on premises and in VMware Cloud on AWS, for example a physical data base can remain in the on premises data center while the application and web tier are moved. The ability to avoid a “Big Bang” approach means migration projects can start straight away and the benefits of VMware Cloud on AWS realized sooner. Once the VMware Cloud on AWS instance has been tethered to an on premises vSphere environment an organization can start making use of on demand compute capacity without having to redesign their current network and security. 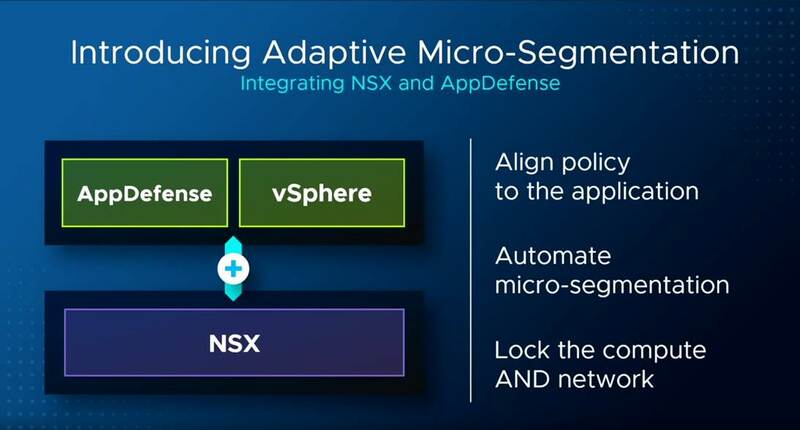 VMware AppDefense is a data center endpoint security product that protects applications running in virtualized environments. A sophisticated solution that embeds threat detection and response into the virtualization layer on which applications and data live. 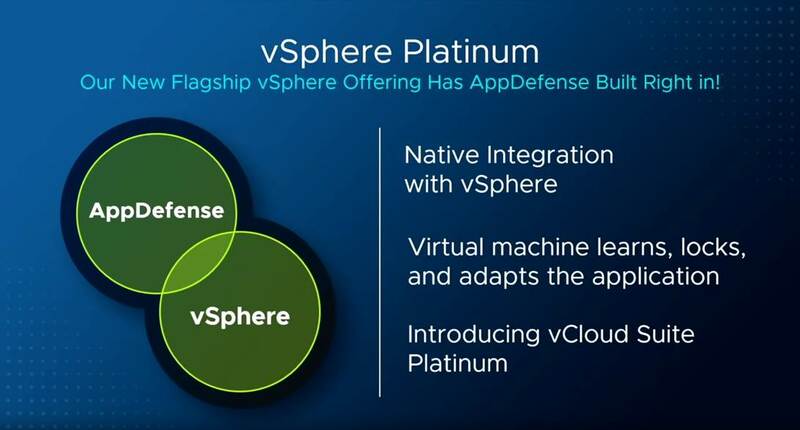 The new vSphere Platinum offering has the AppDefence built in. A SaaS platform that delivers hands-on virtual IT labs to anyone on the planet at cloud scale. Ready to experience the robust and simple-to-use platform yourself? Desktop as a service (DaaS) and cloud-hosted applications that empower your end users with anytime, anywhere access to their digital workspaces from any device. Wavefront by VMware delivers monitoring of Cloud-Native Environments with High-Velocity Custom Metrics and Analytics. It is a metrics monitoring and analytics platform that handles the high-scale requirements of modern cloud-native applications. Provides Consistent Networking and Security for Applications Running Natively in Public Clouds. Having a common networking and security model across clouds significantly improves operational scalability, control, and visibility – with lower OpEx. This entry was posted in Cloud Assembly, Cloud Services, Code Stream, Service Broker, VMware Cloud on AWS and tagged appdefence, cloud marketplace, cloud sercies, cloudhealth, eum, horizon cloud, hybrid cloud extension, ibm, microsoft azure, secure state, SKKB1043, softlayer, unified endpoint management, vmware, vmware cloud assembly, vmware cloud on aws, vmware cloud PKS, vmware cloud services, vmware cost insight, vmware network insight, vmware service broker, vmware vcloud usage insight, wavefront, workspace one intelligence. Bookmark the permalink.